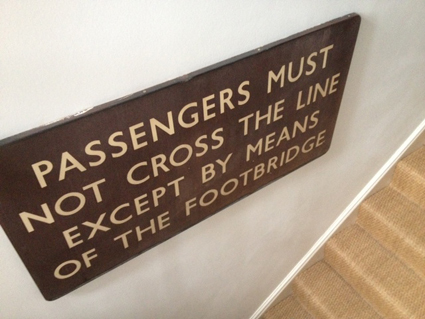 A relatively new acquisition is the sign on the stairway. Purchased purely for its typographic quality – I have since learned that it is from the Great Western Railway – identifiable by its colour apparently. I also like the sentiment of the message – firm yet polite! It's a good size piece too - 4 feet across, so it is easily accommodated on the quite large expanse of stairwell wall.